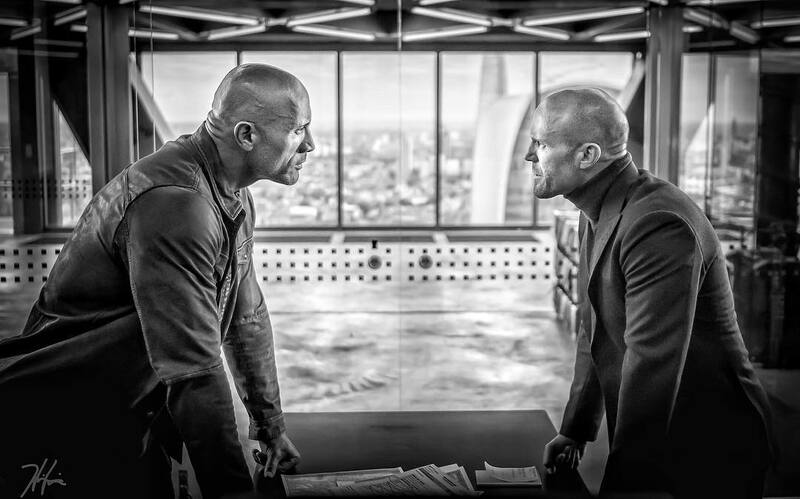 Dwayne Johnson took to Instagram to reveal a first look photo from the set of Universal’s Fast & Furious spin-off Hobbs and Shaw. The photo shows an intense stare down between Dwayne Johnson as Luke Hobbs and Jason Statham (The Meg) as Deckard Shaw. “First Look at Hobbs and Shaw. We either gonna get along or we gonna get it on,” wrote Johnson. The action movie co-stars Idris Elba (Thor: Ragnarok) as the film’s main villain, Vanessa Kirby (Mission: Impossible – Fallout) and Stephanie Vogt (The Forest). Hobbs and Shaw will follow Dwayne Johnson’s U.S. Diplomatic Security Agent Luke Hobbs and Jason Statham’s assassin Deckard Shaw. The spin-off was written by Chris Morgan (The Fate of the Furious, Furious 7) and is being directed by David Leitch (Deadpool 2). Hobbs and Shaw will arrive in theaters on August 2, 2019.